I met Dr. Fowler a year ago and was very impressed by her professionalism and knowledge. She was very thorough with my eye exam and took time to explain what was going on with my vision - by the time the exam was over I definitely learned a thing or two about eyes and nutrition! Dr. Fowler is super helpful and accommodating. 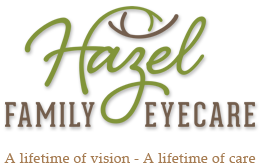 I will be schedulling my future eye exams at Hazel Family Eyecare.